Trustee of John S. and James L. Knight Foundation, Director of Community Development Trust and Director of New Profit, Inc. Holds a Bachelor’s, with honors, in American History from Williams College and a Master’s in Administration from the Harvard Graduate School of Education. 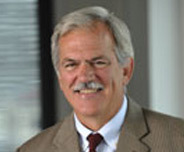 Paul S. Grogan became the President and CEO of the Boston Foundation, one of the nation’s oldest and largest community foundations, on July 1, 2001. With assets of $695 million, the Foundation and its donors made $86 million in grants to nonprofit organizations throughout the Greater Boston community in 2009. Since coming to the Foundation, Mr. Grogan has boosted fundraising and streamlined operations while also launching high-impact initiatives in housing, the arts, education reform, workforce development and civic engagement. Under Mr. Grogan’s leadership, the Foundation has become a central convener on issues and challenges facing the City and the region. Mr. Grogan joined the Foundation from Harvard University, where he served as Vice President for Government, Community and Public Affairs from 1999 to 2001. As one of five vice presidents of the University, he oversaw all government relations for Harvard, relations with Harvard’s host communities of Cambridge and Boston, and the Harvard news office. He was also a Senior Lecturer at the Harvard Business School. Mr. Grogan spearheaded unprecedented University commitments to the community, including $21 million for affordable housing and $5 million for the Harvard After-School Initiative. He successfully transformed the University’s previously poor relationship with the City of Boston, which paved the way for Harvard to double its property holdings in the Allston neighborhood with the public blessing of the Mayor, local neighborhood groups and the editorial page of the Boston Globe. While at Harvard, Grogan created a new national organization, “CEOs for Cities”, whose members are big city mayors, business leaders, university presidents and foundation executives. “CEOs” holds semi annual conferences and publishes cutting edge research on the nature of successful urban economies. Mr. Grogan’s passion for cities began in Boston where he served Mayors Kevin H. White and Raymond L. Flynn in a variety of staff and line positions. He headed Boston’s neighborhood revitalization efforts in the early 80s, where he pioneered a series of public/private ventures that have been widely emulated by other cities. These included the Boston Housing Partnership and the Boston Compact, a partnership between the city’s corporate community and public school system. Mr. Grogan graduated with a degree with honors in American History from Williams College in 1972 and earned a Masters degree in Administration from the Harvard Graduate School of Education in 1979. In 1997, Williams College awarded Mr. Grogan a Bicentennial Medal for his leadership in inner-city revitalization efforts. He is a trustee of the John S. and James L. Knight Foundation, a director of the for-profit company, the Community Development Trust, which he helped found, and a director of New Profit, Inc.; and a former trustee of Williams College. He and his wife, Karen Sunnarborg, a city planner, are raising three sons in the Jamaica Plain neighborhood of Boston.